Marketing automation platforms have come a long way and when used right, is undoubtedly a powerful tool in a Marketer’s arsenal. You rely on your list of known contacts and apply profiling data (explicit information provided and/or implicit preferences inferred) so that you are able to target relevant messages and offers accordingly. This is great for those users you have contact data for. But what about those mass of anonymous prospects (often ~95% of visitors) who visit your website but avoid filling in web forms? A lot of these people likely came in through search engines. This is where retargeting can be used to complement your marketing automation campaigns by extending your nurture activities beyond email, and across display, search and social media platforms. With so much rich data that marketers have at their finger tips, there’s no excuse not to put this to good use. At the Zero Moment of Truth, where there are multiple “a-ha” moments throughout the entire buyer journey, every point is an opportunity to help educate buyers towards a purchase. 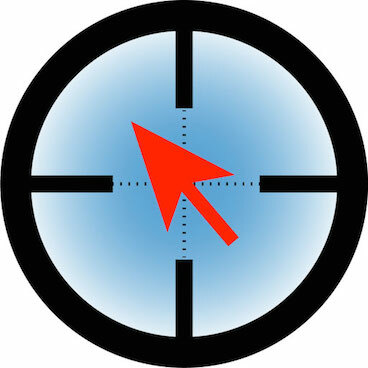 Let’s take a look at a few different retargeting approaches. In it’s most basic form, site retargeting can be used to retarget every visitor to your site across the display network. But it doesn’t take a rocket scientist to know that this is not the most efficient approach. Just like with email, we’ve learned that blasting out a message to every single one of our contacts at large will not yield the best results. We can be way smarter than that by segmenting our audience to increase message relevancy and response. Further personalizing creative and media channels to your most valuable site visitors (those who frequent your site often or stall just before taking an important action), or even your most valuable known contacts, can also turn your retargeting program into a modern version of a Targeted Accounts Program (TAP), without the mailer or postal expense. Another way to use retargeting in concert with your marketing automation program would be to retarget your known contacts through display and social media, based upon where they are within the Email nurture stream. Sequencing your retargeting ads to contacts, within different nurture stages can help further shimmy them along their journey, outside of the confines of email. These are just a few examples of how retargeting can be used to complement your marketing automation campaigns. What other examples do you have?